Working with your style and budget, our designers will guide you through the creative process of selecting the right frame to both protect, and enhance your art. We do all our own work in house so we can oversee every step of the framing process, and maintain our core value of uncompromising craftsmanship. 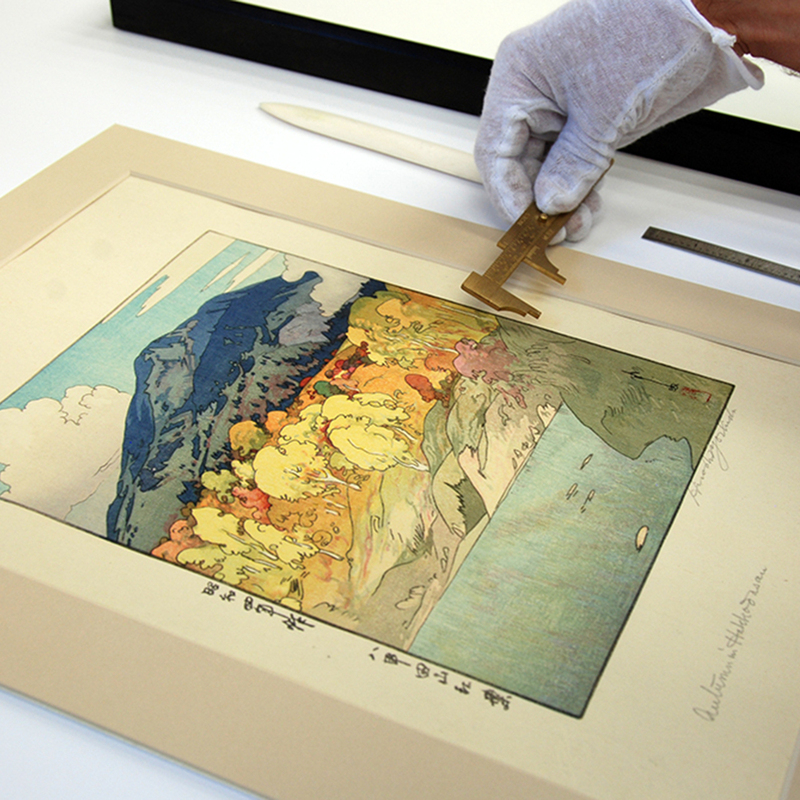 We specialize in preservation framing, utilizing the most archival techniques and materials available. "Wow! You have such a great selection of frames," is something we hear often because we offer one of the largest varieties of framing choices. Working closely with your ideas we will custom design each component of the frame to the specific needs of your art - whatever your style or budget. We carry a selection of hardwood frames crafted by local artisans. Their styles reflect the attention to detail we adhere to and the quality we strive to maintain.